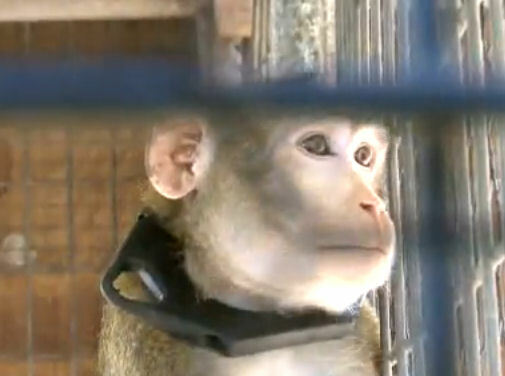 On 15 July 2010 rescuers from the US based In Defense of Animals organisation took 55 macaque monkeys and 118 beagles from a toxicology laboratory in New Jersey where they had recently became "seized assets" when the lab went out of business. 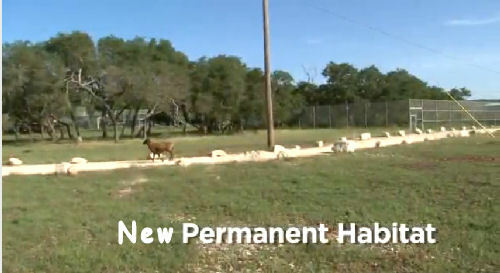 The beagles were rescued and the film above shows the removal of the abandoned monkeys to the relative freedom and massively increased, grassy quarters at the animal rescue grounds. In US laboratories these animals can apparently be confined for their entire lives in tiny cages. 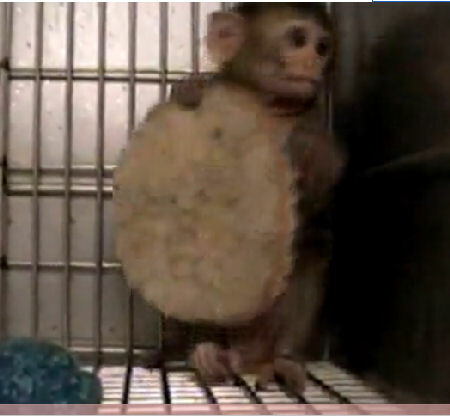 I do not know if the law prescribes any exercise, but it does not appear that they ever leave the lab-rooms and that, when they leave their cages, it is for incredibly cruel experiments. Thus the existence of these monkeys would have been a terrifying hell for their whole lives until IDOA was able to rescue them. The organisation needs money to cover the rescue and asks for donations. The film shows their 1,700-mile journey to a "new life away from this unfathomable existence in grim cells, with its day-to-day burden of unspeakable cruelty and isolation, to four safe havens in Oklahoma and Texas filled with fresh air, friends, and freedom from harm." IT's wonderful that these animals are having a chance Sheila. Lucky for them they don't suffer from stress myopathy like kangaroos isn't it? Sorry Menkit, I put the wrong film up. I have corrected that now, thanks to your comment. This film shows the temporary new accomodation and the permanent accomodation (labelled as such in the film.) One expects to get more news soon. I gather that the rescue was conducted at short notice, so the organisation has been able to provide large room-sized open cages on grass floor etc but intends to create a much larger more natural enclosure in the pictured area. Hi, this is a great post. 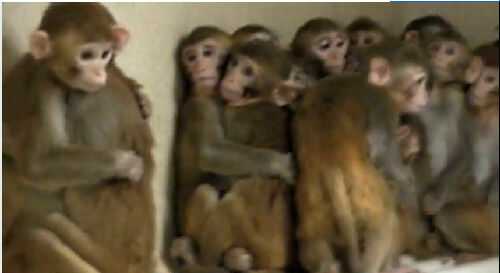 Thank you for rescuing the monkeys. Hope they will be safe.